The release of data on University of Texas faculty teaching loads, research grants and compensation has led to a firestorm of commentary, fanned in part by a Center for College Affordability and Productivity study by two of my colleagues, Jonathan Robe and Christopher Matgouranis, and myself, doing a preliminary analysis of some of the data. In that study, we argue that a reconfiguration of what faculty do at UT-Austin has great promise as a means of containing costs to both students and taxpayers. The UT data reveal a dirty little secret that academics are loath to disclose: A relatively small portion of the faculty does most of the work. Twenty percent of them teach 57 percent of the students, for example, and the same proportion, 20 percent, generate an astonishing 99.8 percent of the external research funding received. But what about the other 60 percent of faculty (actually more, since some of the top researchers also have surprisingly high teaching loads)? They teach relatively modest numbers of students and receive little or no research money. Professors in the humanities correctly argue that their disciplines generate little external research support. Yet a recent study by Canadian scholar Jeffrey Litwin suggests, after examining research at more than 70 top universities (including Texas A&M), that the average cost of producing a single published academic paper exceeds $72,000 (the figure for Texas A&M of more than $128,000 is the second highest of all universities examined). My guess is the typical article is read by perhaps 300 people, since a large portion of academic journals have a circulation of less than 1,000, so the average cost of producing an article runs more than $240 for every single reader. In short, we are producing a lot of marginal research at great cost but of dubious value. The law of diminishing returns has reached higher education — Mark Bauerlein of Emory University tells us that we have published over 21,000 papers on William Shakespeare from 1980 to 2006. Wouldn't 5,000 papers have been enough? Are we really extending our knowledge and strengthening Western civilization by publishing those extra 16,000 papers? 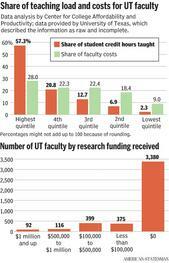 If the 20 percent of faculty at UT teaching the most students were told to "keep doing what you are doing," and the rest were told to "teach half as much as those teaching the most," the number of faculty needed would be drastically reduced, potentially allowing tuition to be cut in half, state appropriations to be cut by an even greater percentage, or some combination of both (roughly 30 percent reductions in both tuition and appropriations). Is that unreasonable? What is suggested is that the bulk of the faculty teaches on average around 450 credit hours a year, or roughly 150 students. A professor could do this by teaching a survey course to 100 students, two advanced undergraduate or graduate classes to 20 students each, and a graduate seminar to 10 students, being in the classroom six hours weekly for 32 weeks of the year. Some might be asked to teach a bit more to allow for reduced loads for those shouldering administrative duties like serving as department chair. 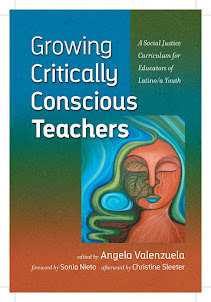 I managed to teach more than that over an active professional career and still published a number of books and scores of academic journal articles, and served as a visiting professor at schools rated higher than UT in magazine college rankings, etc. I did it by doing what other professionals (such as accountants, lawyers and physicians) do: I went to work at 8 or 9 in the morning and went home at 5:30 or so each evening, and I worked all but three or four weeks a year. On a recent 10 a.m. Tuesday stroll past 24 offices in my department, I found three occupied. To be sure, two or three more colleagues probably were in class, meetings, or giving a paper elsewhere. Nonetheless, professors do not have the same work discipline as other professionals, and the slack is a major reason why faculty costs are so high. I am not alone in believing this. Commenting in the American-Statesman on April 17, John Silber, a former dean of arts and sciences at UT and, at Boston University, one of the most esteemed university presidents of modern times, said: "I think the cost of education is largely a function of the reduction of productivity in the faculty and also the huge engorgement of administration. Today — in a typical university like Boston University — professors will teach one or two courses per semester. Well, that's not enough." He is absolutely right. Changing teaching loads can be done in a way that adds to both efficiency and fairness. In some cases, the desired results can be obtained by the use of "carrots" (financial rewards) rather than "sticks" (compulsion). Some savings from reconfiguring teaching loads can be used to reward those who teach a lot and/or teach well. One thing that the controversy over the data release and our interpretation of it has demonstrated is the radical disconnect between the views of people in the academy and other residents. A recent Pew Research Center poll showed 57 percent of respondents surveyed thought colleges delivered only poor or fair value to students, while 76 percent of university presidents thought these schools delivered excellent or good value. While we want to allow universities some independence to allow unpopular, diverse ideas to flourish, a big cost of this is the increasing divergence between what colleges do and what the public thinks they should be doing. The "publish or perish" nature of the modern research university is revealed in the data. Salaries are far higher at research-intensive UT-Austin than at more teaching-oriented schools like UT-El Paso or UT-San Antonio. Beyond that, there are huge variations within UT-Austin, partly because of differences in research efforts but also partly because of huge pay differentials between disciplines (the typical accounting faculty member makes well over twice as much as the typical English professor, for example). One result of the intense research orientation arising from huge financial incentives for research is that young faculty seem disengaged from teaching — the average teaching load of tenure-track faculty who have not yet been awarded tenure (most young assistant professors) is actually lower than that of tenured (and mostly older) faculty. The National Survey of Student Engagement data for UT-Austin suggest only 38 percent of students feel the faculty are "available, helpful and sympathetic"; students at UT-Austin rate their relationships with faculty at a lower level than students at some of the less research-oriented schools within the system. Undergraduate students are being asked to shoulder a larger share of the cost of college, but they still are on average relatively neglected by faculty who shower attention on graduate students helping them with their research. The most deplorable thing that has struck me, however, is not the evidence that many faculty seem to work at less than full capacity. Rather it is the attitude of the UT administration. Universities are in the business of transmitting and creating knowledge, but the UT administration has bitterly fought the release of data rightfully requested by the regents. For the school to put on every page of the 821-page compendium of data this — "The attached data spreadsheet in its current draft form are incomplete and have not yet been fully verified or cross referenced (and in) its present raw form it cannot yield accurate analysis, interpretations or conclusions" — is an affront to transparency and disclosure. The statement of UT President William Powers Jr. that the study by the Center for College Affordability and Productivity was "inappropriate" is revealing in that it shows with crystal clarity the real problem, namely that the university leadership is either clueless or indifferent to the feelings and financial pressures faced by the people of the Lone Star State.